Purchase 4 or more to receive discounted pricing. ANOTHER NEW INTRODUCTION! 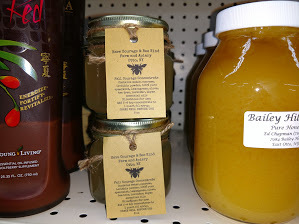 Now on the shelves are the “BEE HIVE THRIVE” Winter & Spring Patties with Essential Oils. Bee Hive Thrive with Essential Oils is an all natural protein AND energy supplement for bees during non-honey producing times of the year. Bee Hive Thrive is?the ideal non-grain pollen and energy supplement providing your bees with mycotoxin free amino acids, energy, omega 6 and 9 fatty acids and a proprietary blend of revitalizing 100% pure essential oils necessary for hive vigor and managing pests during winter and spring months. 100% pure essential oils stimulate feeding, brood building, and pest management in new and larger hives during non-honey producing periods. 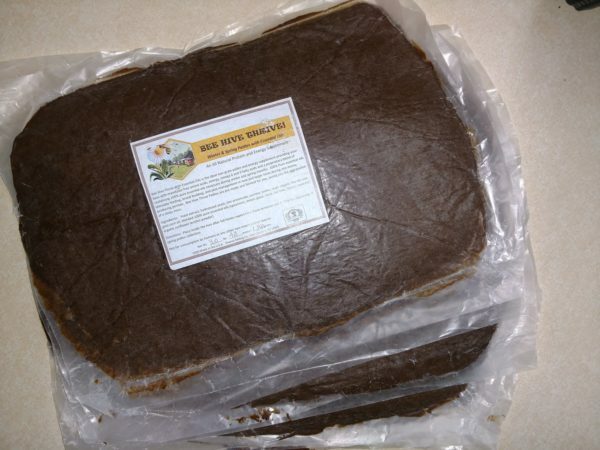 Bee Hive Thrive Patties are pre-made and formed for you, saving you the aggravation of having a sticky mess in your own Kitchen or honey house. To feed the patties, simply remove one side of wax paper and place the patty between the bottom and top brood boxes or on single brood box hives, place exposed side down between the top of the frames and the bottom of the inner cover. Patties should be placed inside the hive after fall honey supers have been removed and before the beginning of spring pollen collection. Bee Hive Thrive is not intended for consumption by humans or any other non-insect animal species. As an aside, for those of you who trialed our spring patties, Bee Hive Thrive has been reformulated to be more palatable and to contain a more effective proprietary blend of 100% pure essential oils. Bee Hive Thrive is available as individual 3lb patties, or sold by the 4 pack (12lbs).? 1lb patties are also available WITHOUT essential oils. 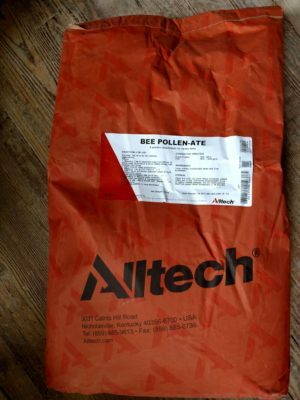 BEE-POLLENATE from ALLTECH is also available by the 55.1lb bag for larger bee keepers who would like to make their own. Custom mixes are also available.